Uber has raised billions in capital since its founding, but a new investment deal could be its most crucial yet -- and also its most complicated. The ride-hailing startup said Sunday that it has reached an agreement for what could be a massive investment from SoftBank (SFTBF), the Japanese conglomerate, after months of speculation about a possible deal. "We've entered into an agreement with a consortium led by SoftBank and Dragoneer on a potential investment," Uber said in a statement Sunday. "We believe this agreement is a strong vote of confidence in Uber's long-term potential." Uber did not provide an update on the size and structure of the agreement, but a source familiar with the matter said it was essentially unchanged from earlier reports. CNNMoney reported last month that SoftBank was looking to invest around $1 billion in Uber at its current $69 billion valuation. SoftBank is also expected to invest billions more buying up shares from existing shareholders at a discounted rate, depending on demand from sellers. SoftBank, however, struck a sharper tone in a statement released Monday. Rajeev Misra, CEO of SoftBank Investment Advisors, said Uber had agreed to move forward with the investment "after a long and arduous process," but stressed that a final deal is contingent on getting enough Uber insiders to sell their stakes at the right price. 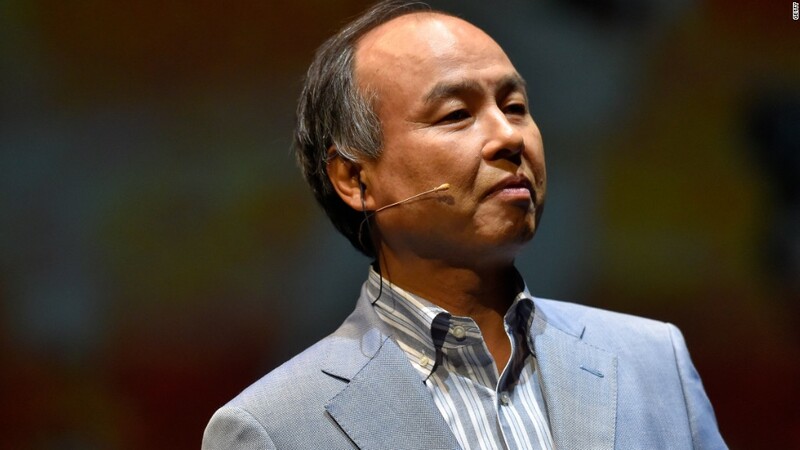 "By no means is our investment decided," Rajeev Misra, CEO of SoftBank Investment Advisors and a board director of SoftBank Group, said in a statement provided to CNNMoney. "We are interested in Uber but the final deal will depend on the tender price and a minimum percentage shareholding for SoftBank." SoftBank is said to want at least a 14% ownership stake in Uber. Otherwise, it could walk away from the deal. "If conditions on share price and a minimum of shares are not satisfactory for the SoftBank Group side, there is a possibility the SoftBank Group may not make an investment," SoftBank Group said in a separate statement Tuesday. 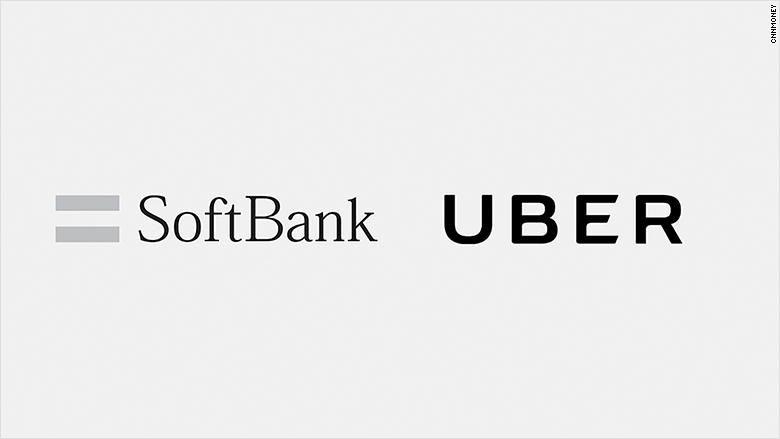 The dueling statements are just the latest example of SoftBank publicly needling Uber over a multi-billion dollar deal months in the making. SoftBank CEO Masayoshi Son has repeatedly teased the possibility -- some might say threat -- of investing in Lyft instead, including as recently as this month. The stakes are high for Uber. If the deal falls apart, SoftBank's money could make its way to its chief U.S. rival, just weeks after Lyft announced a $1 billion investment led by Google (GOOGL)'s parent company. If the SoftBank deal goes through, it would function like a mini-IPO that helps tide Uber over until it actually goes public in 2019 as planned. Employees and investors would have an opportunity to cash out some of their stakes in the company, potentially boosting morale after a punishing year full of executive shuffles and PR crises. Uber would also get a cash infusion as it fights a resurgent Lyft in its backyard and increasingly well-funded competitors abroad, not to mention the looming financial risk posed by lawsuits and disputes over driver benefits. Uber had $6.6 billion in cash at the end of the second quarter, but continues to bleed hundreds of millions of dollars every quarter. The SoftBank investment isn't just about the money, however. It's also key to reforming Uber's dysfunctional board and bringing a detente between warring factions: former Uber CEO Travis Kalanick and early Uber investor Benchmark. As part of the agreement, Kalanick has agreed that he cannot fill the three board seats he controls in the future without majority approval by the board, according to two people familiar with the matter. Kalanick blindsided Uber in September by appointing two new members without notice. Benchmark, in return, has agreed to put on hold its lawsuit against Kalanick over his control of the three board seats, with plans to drop the case if and when the SoftBank deal closes, according to the sources. The case had been set to go to arbitration. "Upon closing, it will help fuel our investments in technology and our continued expansion at home and abroad, while strengthening our corporate governance," Uber said of the deal in its statement. SoftBank publicly expressed interest about investing in Uber over the summer, while the startup was still looking for a CEO to replace Kalanick after months of operating with a mostly empty C-suite. 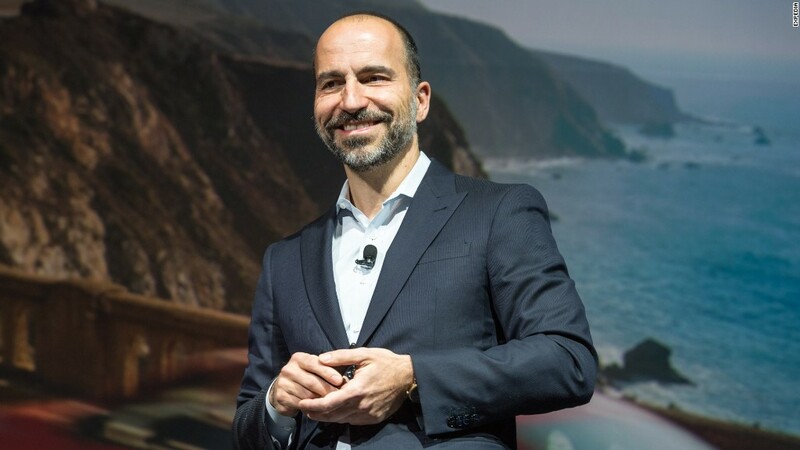 At an event last week, Uber's new CEO, Dara Khosrowshahi, admitted it had taken a long time to get Uber's board on the same page for the SoftBank deal, but expressed confidence in getting it done. "There's negotiations going on," he said. "They've probably taken longer than they should have, but we're gonna get there. Because all the parties, in the end, they know this is a good direction."